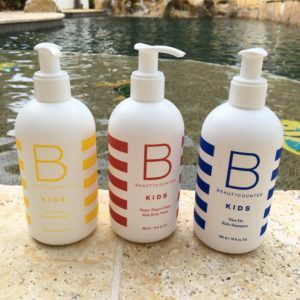 Beautycounter Kids Bath Collection - a Mom's Review! I first heard of Beautycounter on Facebook and then a friend of mine told me about it and invited me to a Beautycounter party. At first I thought “here comes another one” but then the more I learned about the company the more intrigued and interested I became. 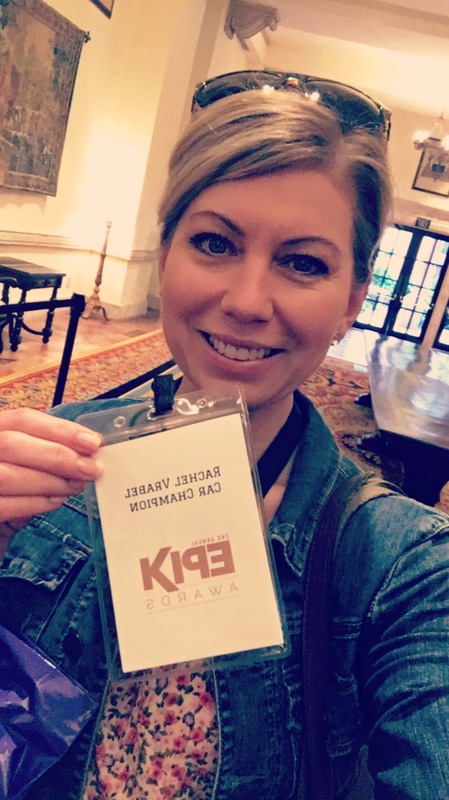 I was surprised to find out that the personal care and beauty products in the United States are not really regulated and that many of the chemicals in these products have never been tested to see how they impact human health. 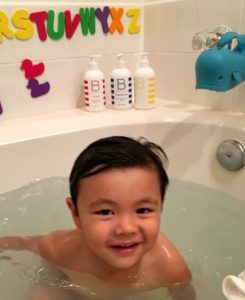 With that in mind I decided to try the Beautycounter Kids Bath Collection on my son and I’d like to share my experience and give you my overall review of the three products in the collection. Today when I think of Beautycounter the first word that comes to my mind is “safe” and as a mom of a three year old boy “safe” is a very important word in my life, if not the most important! Beautycounter believes children should be protected from harsh or toxic chemicals, and what mother doesn’t feel the same? This is why they created a line just for Kids that is gentle, effective and kid-friendly with ingredients you can understand and nothing toxic. The Super-Duper Clean Kids Body Wash is a gentle wash that keeps the skin soft and hydrated. It’s gluten and nut free and the formula contains a combination of pomegranate and cranberry fruit extracts with antioxidants and vitamin C, which results in a berry scent. The Nice Do Kids Shampoo can be used daily. It has citrus oils, vanilla extract, that give it an orange-vanilla scent and broccoli, carrot root and strawberry extracts which helps remove oil without stripping moisture. It is also gluten and nut free. The Not a Knot Kids Conditioner can be used in all hair types and is made with safflower seed oil plus carrot root extract. It also has citrus oils and vanilla extract and the same sweet scent as the shampoo. 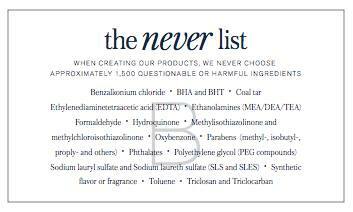 Beautycounter has banned the use of more than 1,500 questionable or harmful chemicals through their Never List. Included in this list are the nearly 1,400 ingredients already banned in the European Union. Over 80% of the ingredients in their products are natural or plant derived. In addition to this, every potential ingredient is screened for information on specific hazards such as cancer, environmental toxicity, hormone disruption and infertility. I have been using all three products for over a month now and I absolutely love it! First the packaging is adorable and the colors make his bathroom look fun and even cuter. A small amount of product goes a long way so the products last a long time. I love the consistency of the Nice Do Kids Shampoo and the Super-Duper Clean Kids Body Wash. They are not watery at all and it lathers up really nicely. They both smell really good – fresh and clean. The scent is not strong or overpowering so if you are sensitive to smells like me these products are perfect for you. The Super-Duper Clean Kids Body Wash does not dry out the skin at all! It’s so gentle I have even used it on my face occasionally. The Not a Knot Kids Conditioner works really well but since I have a boy with short hair I can’t really comment on the detangling effectiveness of it. However, from what I could tell from other clients it works just as good. I did notice my boy’s hair is shinier since I started using these products and his skin is not as dry. But definitely the very best part about using these products is that I know that they’re safe for him and have no harmful chemicals in them. I have to say I was curious to see what other people thought of these products and so I went online to find out. The reviews I read were all amazing. 95% of people love these products and give them five stars. The main positive aspects were peace of mind, its effectiveness while being gentle at the same time and the great smell. The negatives were cost and some did not like the smell. Beautycounter products can be purchased through their consultants online. I purchased mine through Rachel of Women’s Blog Talk. Their skin care is also a nice treat, I love their face masks and the Nourishing skin care line. The Super-Duper Clean Kids Body Wash, the Nice Do Kids Shampoo and the Not a Knot Kids Conditioner only come in one size (10 fl oz). You can get the set of three for $44 or each individually for $18. I recommend these products 100% and the one thing I wish was that they had a body lotion as well but maybe that will be coming soon! 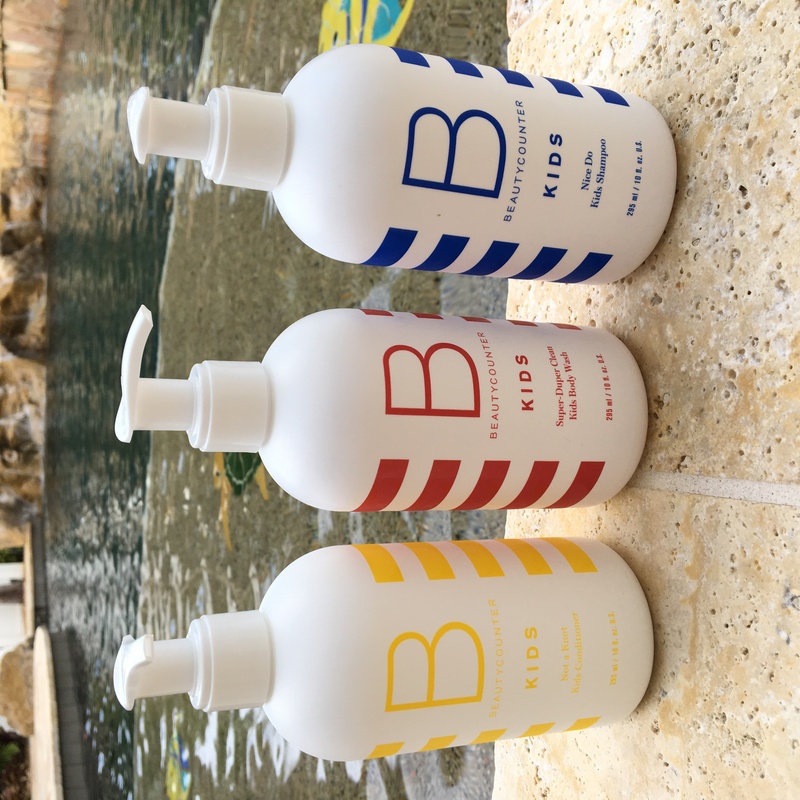 I hope you enjoyed my personal review of the Beautycounter Kids Bath Collection! I have been dealing with porous aging hair for the last 10 years. The conditioner gave me back “my” hair again! It is thicker and longer and there is now more of it! 5.0 5.0 1 1 I have been dealing with porous aging hair for the last 10 years. The conditioner gave me back “my” hair again! It is thicker and longer and there is now more of it! 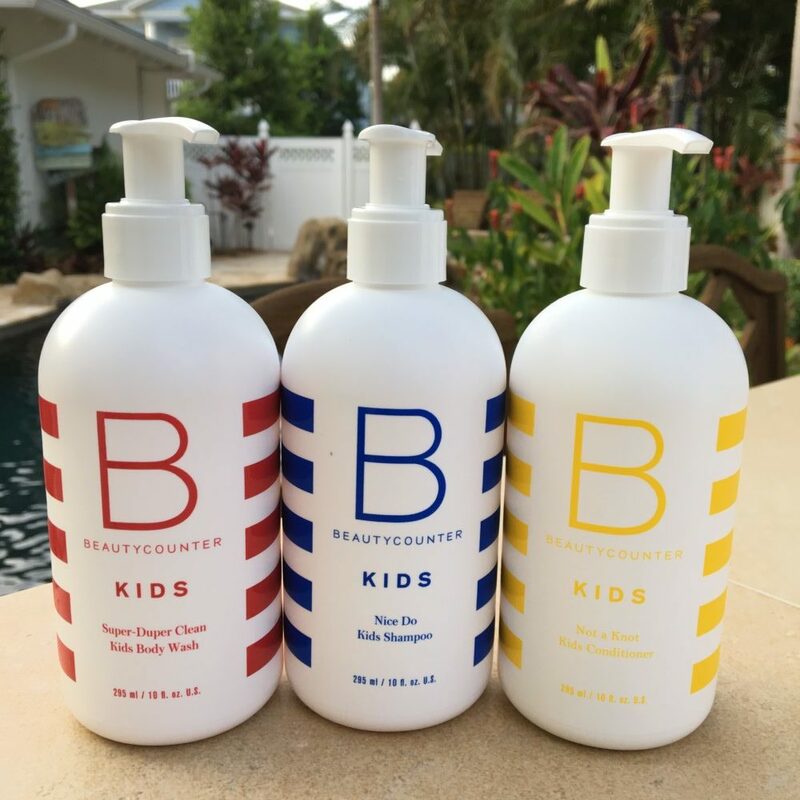 Beautycounter Kids Bath Collection – a Mom’s Review!